Michael Junk represents plans, plan sponsors, and plan fiduciaries in pension, disability, and related employee-benefits litigation and agency investigations. Michael’s experience includes representing single and multi-employer benefit plans and fiduciaries against denial-of-benefit claims brought under ERISA section 502(a)(1)(B), and breach-of-fiduciary-duty claims under ERISA section 502(a)(3). He also routinely consults with plan sponsors and administrators on a broad range of benefits-related matters, including best practices in benefit claims administration, Department of Labor claims regulations, and litigation risk-management strategies. Michael has a broad range of litigation experience in state and federal court venues across the country. 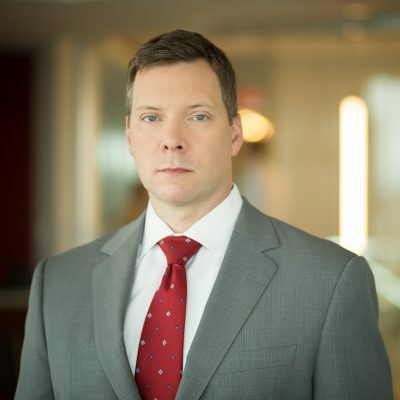 In his time at Groom, he has appeared as lead counsel for a number of firm clients in a variety of cases pending before federal courts in Massachusetts, Maryland, Indiana, Texas, and California, to name just a few. Prior to joining Groom, Michael was a partner with a D.C. litigation firm, where for more than 10 years he defended corporate clients in serial and mass tort personal injury litigation typically involving prescription drugs, medical devices, toxic exposures, or industrial accidents. I most like finding ways to avoid or efficiently resolve litigation. To me, that’s the greatest accomplishment.